The new ‘Aquaflo Plus’ range takes Zone3's award winning Aquaflo collection to another level. Featuring highly-rated water repellent Aquaflo fabric combined with an ultra-soft and flexible mesh fabric for improved ventilation and styling, plus an abundance of new features to improve comfort and functionality. 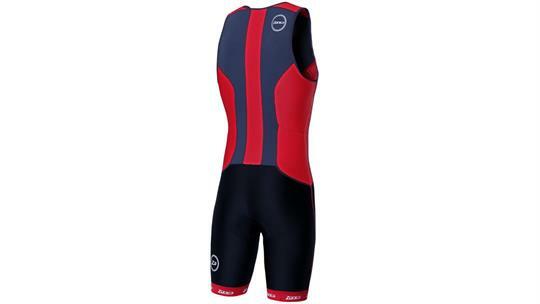 The 2016 collection is an update on the long standing Aquaflo range which achieved the ‘BEST BUY’ award in 220 Triathlon magazine in 2011, 2012 and 2014. The collection is designed to improve speed, endurance and comfort offering top of the range features without the top of the range price-point. 2. Balanced Compression is provided through the legs thanks to a carefully designed panel shape and the high denier rating of the Aquaflo fabric. This improves muscle support and helps to increase the blood flow away from the legs, therefore reducing the amount of lactic acid build up and helping to improve your endurance and stamina. 3. Airflo is designed for optimum temperature control by allowing moisture to easily evaporate from the skin and help keep the body cool or warm depending on the conditions. The soft-touch feels extremely comfortable against the skin and the eyelet pattern also helps the fabric to dry quickly after the swim. 4. Revolution-X is the latest generation tech-fabric made in Italy and is used on the back panels. 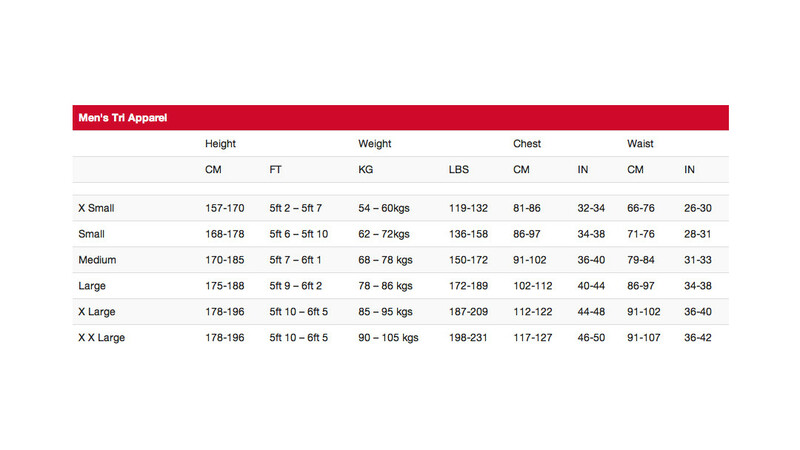 Very lightweight, the material offers 360-degree stretch and is extremely breathable. 5. Tri-lite pad: A tried and tested race-specific triathlon pad providing fit and comfort unlike any other on the market. 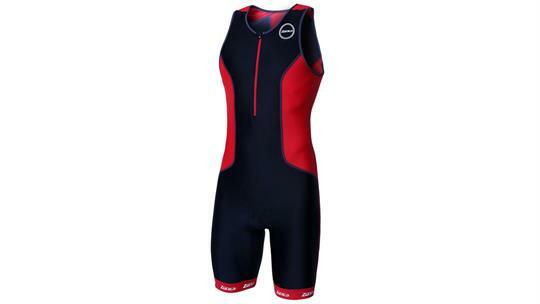 Minimising water absorption and providing protection during the cycle, without impeding your swim or run. 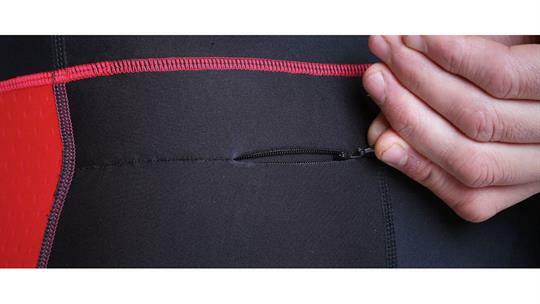 Also, new fine-line stitching to further reduce any irritation. This pad has been used since 2015 and the reviews have been fantastic. 6. 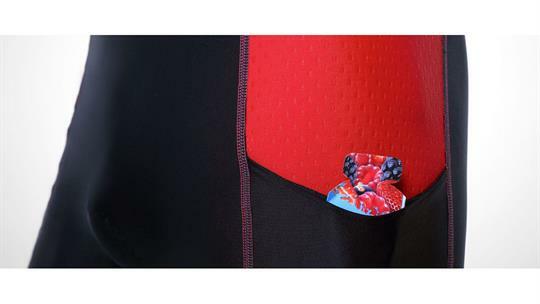 New Pocket Design: Two carefully positioned pockets on each side panel of the suit to allow nutritional products or other race accessories to be accessed with ease. 9. Stylish Flat locked stitching – Designed for maximum strength and minimum discomfort against the skin.